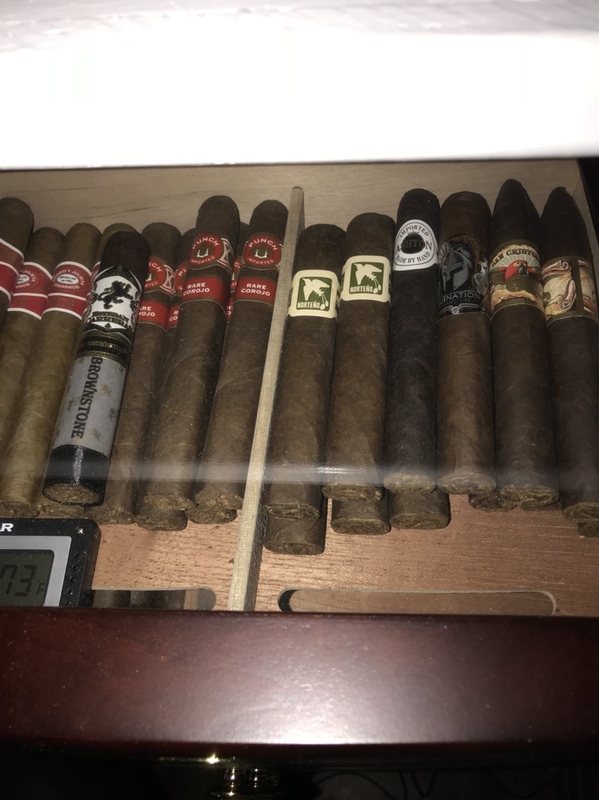 My wife bought me a humidor for my birthday and I have no idea what to put in it. I’m not a cigar expert but have smoked a quite a few. 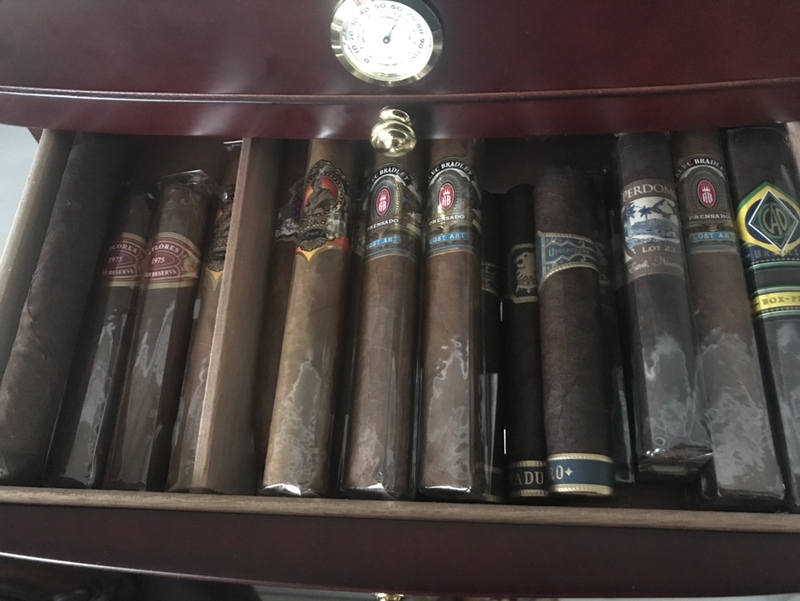 My favorite was a Ashton Maduro. Any ideas about what I should buy that might be similar to the Ashton? 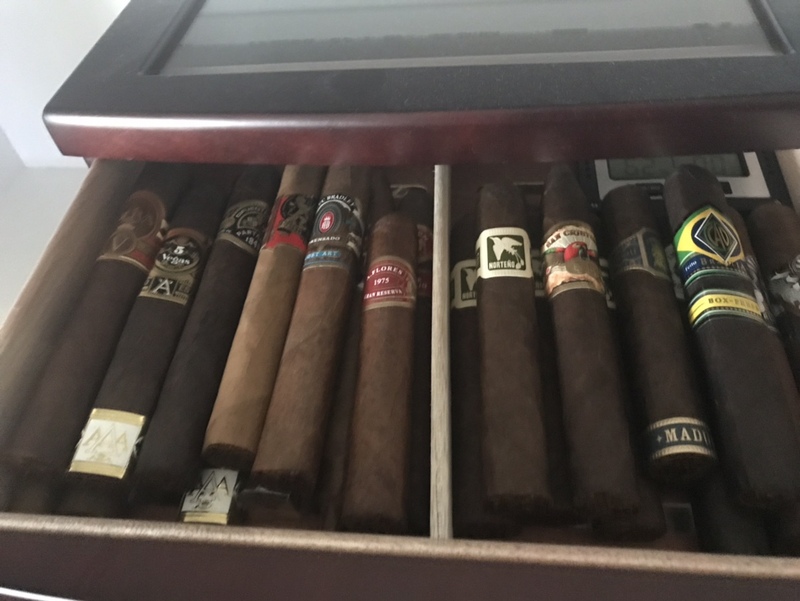 I did a search but you guys are way over my head in cigar knowledge. Thanks for the feedback!!! Only COHIBA, Macanudo, and Partagas for me the last 24 years. I'll be watching this thread for new suggestions. Thank you brother, that is what I was going to do. Thanks Cajun, but that thread is mostly about what others like. I was really looking for suggestions on what I might like based upon my liking of the Ashton’s. Though I’m open to any suggestions. Gotta admit though, I didn’t read all the 8k posts! So, I’ve delved into and begun to greatly enjoy more boutique cigars. Crowned Heads, My Father, Black Label Trading Co, Nomad, Espinosa and La Polina are some of my favorite brands. Looks like you are in the Metroplex...check out Underground Cigars in Ft Worth or look them up online. Huge selection and vast amount of cigar knowledge. Im in the same boat but ive found baccarats to be my favorite, they are very consistent and can be had for hnder $5 a stick. Actually I have moved from DFW to little Tahlequah, Oklahoma so I will probably be ordering online. Thank you for the input. Check em out. If you have any questions, shoot me a PM. I have always enjoyed the Arturo Fuente brand. Everything from the 8-5-8 to Hemingway and the Opus X.
I haven’t had yours. But if you like a Maduro, you like something with some flavor. My number one go to cigar is a Man O War Ruination. Look it up on Cigar.com. My go to site is Cigarbid.com because I watch the prices, but the other site has a good reviewer following. Also, there are so many things to learn about cigars. If you want to do it right, google proper seasoning of your humidor and how to keep them good. It’s worth it if ya want to do it right. Have fun, and PM if ya have any questions. I don’t know it all, but will help where I can. Last edited by ON THE EDGE; 08-11-2018 at 11:37 PM. I've been smoking Acid Kuba Kuba, give that one a try. I bet you would like the San Cristobal cigars. The Fabuloso is a great one. Thanks all for the recommendations! Last edited by muzzlebrake; 08-12-2018 at 11:42 AM. I've dove into the cigar world over the past few months. I'm open to any suggestions as well. We have Pipe World here, they have a lot of options which is nice. Cigarbid.com - search for other Maduros, or search by brand, or if you’re trying to find what’s your flavor, hit the sampler 5- or 10-packs. You’ll be hard pressed to find a cheaper way of both filling that humidor and exploring this new world. Have fun! Getting my humidor stocked up. I’ve had a Norteno that I bought from a cigar shop and it’s the best cigar I’ve had so far. Most are just recommendations except for the Ashton’s. Always keep some perdomo champagne 10th anniversaries and noir on hand for the people that want a cigar but never smoke them. These won’t over power non smokers and the sticks really are good! Thank ya much for the recommendations! I did have the Liga Privada #9 and it’s at the top of my list!!! Last edited by howzitbra; 10-18-2018 at 04:07 PM. Got to get me some. Natural or Madero? Been smoking Rocky Patel Xtreme. I'll bring one to be delivered to you. Last edited by coker737; 10-18-2018 at 04:16 PM. I wonder which ones Bill Clinton likes? If you like the Liga the genesis project is a must try. Also the little brother of the Liga the undercrown is great. It was made because the owner lets the rollers have unlimited smokes while working and everyone was smoking Liga’s and messing with supply. Drew came up with the undercrown, Liga filler with a different wrapper. Cost less and always Available! That’s some great info! I’ll look for em!!! The CAO Brazillia is a very good smoke as well. My humidor is never without flor de las antilles (my father cigar brand) and Upmann 1844 reserve. I like a lot of others too, but those are my favorites. If you like the Ashton Maduro try Arturo Fuente Double Chateau or 858 in Maduro and/or Sungrown. The Ashton and Fuente folks have worked and collaborated together on projects.